Back in 2009 for the first time in my life I found myself struggling with my weight. I can remember looking at an old driver’s license of myself and seeing that the date pointed out a startling truth. Back in 2003, when my license was re-issued I weighed 148 lbs, which was dramatically off my new weight of 162. Now 14 pounds in 5 years didn’t seem like much at the time but looking back at pictures from 2003, I noticed that even then, I was a bit chunky. For a single 29 year old woman, weight can be the root of all evil. I noticed a time where I just didn’t care, I lost all self esteem and confidence in myself and in my body. There were some points when I did want to change things I tried dieting, weight loss pills that only left me feeling jittery and nauseated. I signed up for the gym and worked out about 1-2 hours, 3 days a week but only seen my tummy get tone but Problem areas like my arms and thighs keep their thickness. I hid my weight well, most people that I knew me were blown away to discover what my true weight really was. In 2009 I heard about a product called HCG from a friend of mine, she had told me all about it and reveled that she got her information through a friend who had done it and received dramatic results. One pound per day of weight loss! Being skeptical at first I didn’t really believe it, and when I heard that you had to give yourself injections I quickly declined interest. After a few days of talking I would go home after work and do research on this so called weight loss cure. I looked at reviews and videos people had made on YouTube© and was amazed at how many people were vouching for this product. The astonishing part was most of the people that made videos had logged them in a way that you could follow their progress. You would watch a video log someone made, then watch another one from that same person dated for a few weeks later and just see the results with your own eyes. This experience sold me on the product. I found a very informative video online by a woman who called herself (mama clock). In her video she talked about something I hadn’t encountered yet called “Sublingual” HCG. 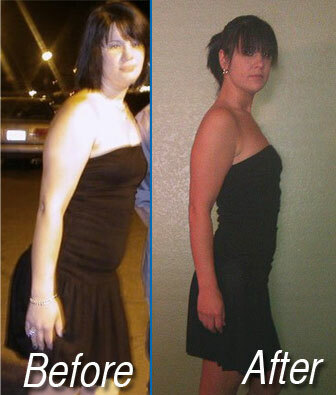 She then explained that this was a new form of HCG that allowed you to take the HCG without injections. I was ecstatic! Now I could do the diet without the thought of sticking myself with a needle. Sublingual HCG allows you to take HCG in a form of drops made from something called HCG Pregnyl. You order the HCG through a licensed pharmacy which you do need a prescription for (which I will explain more about) you then mix it with some vitamin B12 and colloidal silver and boom you have a liquid! I fulfilled my order and my HCG was on its way to me. Along with all of the information I gathered on the internet, I downloaded a copy of Dr. Simeons protocol that explained how the diet worked and detailed instructions on how to do it yourself. With all the tools and instructions I needed at hand, I began the diet. I chose to do the diet for 30 days, which produced result of 25 lbs lost. I was shocked; the people around me were shocked at the results I achieved in such a short amount of time and in such an easy and safe fashion. Soon after my diet, the HCG craze hit and I began hearing ads on the radio advertising the new diet. Curious I decided to call one of the weight loss centers to ask them how much they charged to do the diet. Wait for it you’re going to laugh here! $700, now I know people can get kind of desperate when it comes to losing weight, but $700 really? I think I had paid under $100 in doing the protocol all together after the HCG and shipping and buying a George Forman grill. This made me very angry, it upset me that these people were abusing this new miracle in order to make their own greedy profits. This injustice inspired me to not only inform, but help people understand the HCG protocol and determine if it is right for them. I am not a licensed professional just trying to sell a product, I'm simply a fellow dieter wanting to share what I have learned. All the information on this site is free. Bottom line being, if you are serious about making a change than you will succeed. Those who lack motivation seem to fail. But once you get the hang of the diet, it really is a simple process that will not only impact your weight but your life as well.